That’s according to TMC, which has published CO2 and fuel economy figures for third-party PHEVs run using its Mileage Capture and Audit system, which shows that when PHEVs aren’t deployed correctly, they can be the most polluting vehicles on the fleet. In contrast, TMC analysis of standard non-plug-in hybrids found their real-world fuel economy tended to be closer to advertised performance. 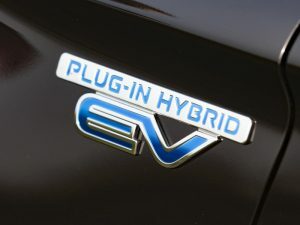 Earlier this year, ACFO warned that fleets are not using PHEVs properly as it highlighted that the fleet industry is “awash with stories of company car drivers choosing plug-in hybrid vehicles in pursuit of lower BiK tax bills, but not reaping fuel economy savings”. The association – which has repeatedly called on HMRC to publish Advisory Fuel Rates for plug-in cars – added that fleets were incurring early termination charges by returning such vehicles to leasing firms ahead of the end of the contract. Meanwhile TMC has warned that its data shows how PHEVs would attract the top rate of company car tax in three years’ time if they were assessed on their real emissions instead of on laboratory test results. The firm also warned fleets to do the maths before deploying PHEVs – this includes ensuring adequate charging facilities at work.